Bryan Adams' Summer of '69 blared out with wicked irony from the Wexford dressing-room, a boom-box smirk at the kind of March day that would have had Tom Crean taking refuge in a duvet. 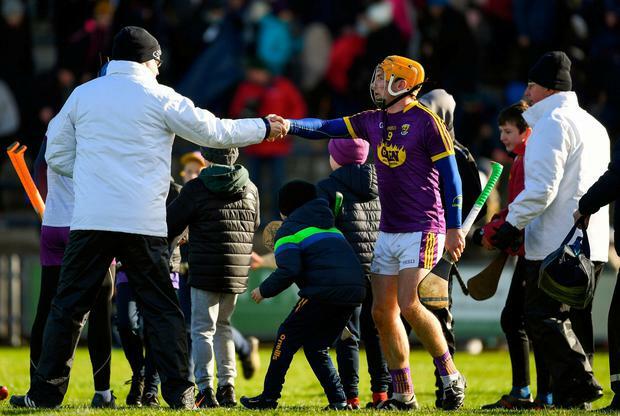 Wexford hurlers have long been intimate with the wind gusting habitually from the Clonard-end of their home place, but it's seldom borne the kind of teeth that ended Kilkenny's National Hurling League defence here. 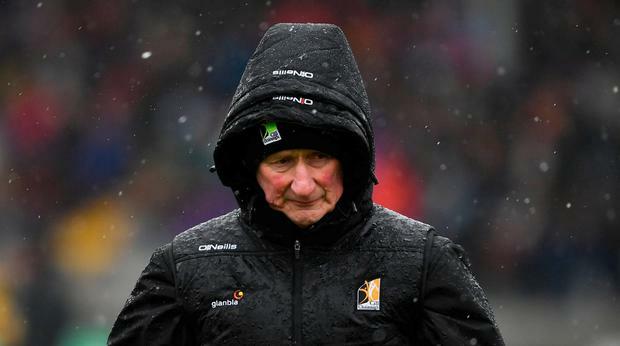 Whipping viciously into their faces, it restricted Brian Cody's men to 0-2 in a second-half at Innovate Wexford Park that essentially petered out into a simple exercise of dodging hypothermia. Trailing by five points at half-way, Wexford's exploitation of the Siberian blast was so assertive, so controlled, that momentum had already shifted irretrievably their way by the time Cathal Dunbar forced home a 67th-minute goal that left little outstanding but the small-print. Their reward is a quarter-final against Galway in Salthill next weekend, the shortest of straws to some eyes, a compelling opportunity to others. It is, after all, nearly half a century (1973), since they last won the League, but Davy Fitzgerald wasn't exactly of a mind to indulge that narrative afterwards. "I heard this rubbish on the radio last night," he sighed in the dressing-room tunnel. "And it's saying I'm mad to win the League. I couldn't give a f**k, right? I just want to win every game I can, right? If we happen to win stuff, fine." A long lens on the season from Davy then, but the roars of Wexford's supporters in a 6,000 attendance were resolutely short-term. Because, after three defeats to their great Leinster rivals in 2018, this bore a faintly redemptive feel. It ended with Cody marching backwards down the tunnel in animated (and conspicuously one-sided) conversation with referee Alan Kelly, about the 72nd-minute dismissal of Kilkenny full-back Conor Delaney, for what looked a jab at Wexford substitute Dunbar. That straight red could result in Delaney missing a Championship game if Cork and Kilkenny don't now play a concluding League fixture next weekend to decide final placings that, in the absence of relegation, Cody himself suggests would be "futile". His anger over Delaney's sending-off was explained thus: "What I saw really was the referee blew the whistle for a free, turned around and walked back up the field. The crowd shouted, he turned around and gave a man a red card. That's what confused me. "Disappointed to see the chap sent off, for sure. There were different things happening, like the conditions led to sort of pulling and dragging and different scuffles throughout the game." Fitzgerald wasn't inclined to disagree, yet rightly observed that the awful weather made it a difficult game to referee. The wind governed managerial tactics from the first whistle and Fitzgerald was acutely aware of full-back Darren Byrne's, early struggles to make headway against a high Kilkenny press when in receipt of Mark Fanning's short puck-outs. The Blackwater man was twice penalised for fouling the ball in traffic and was, eventually, replaced in the role by Liam Ryan. 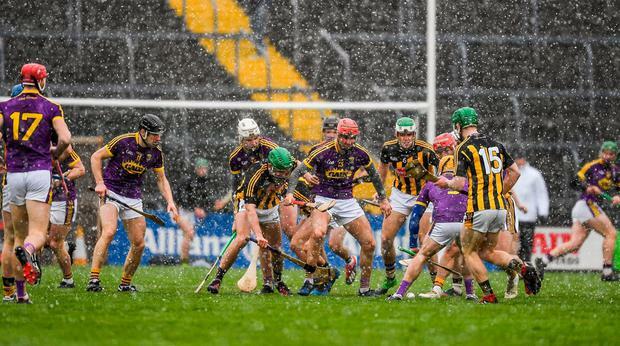 By the time that happened, Wexford already trailed 0-3 to 1-8, Kilkenny's goal coming in the third minute after a brief outbreak of ping-pong in the Wexford square that culminated with Liam Blanchfield firing home. Still, four unanswered Wexford points between the 26th and 31st minutes kept Wexford in far closer proximity than Cody would have wanted. The long-range free-taking of Eoin Murphy was a strong weapon through this period for the Kilkenny men, but the Glenmore man would finish with just three successes from eight efforts, a percentage that - in the circumstances - wasn't likely to suffice. 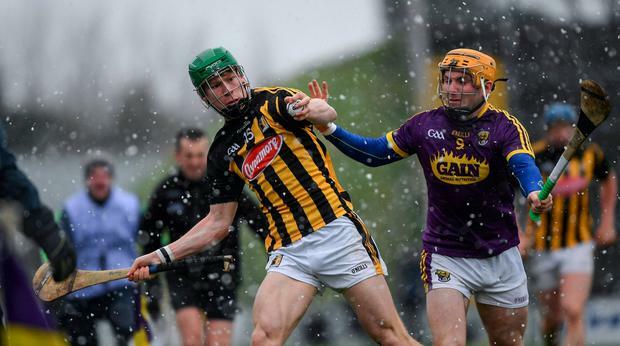 Fitzgerald introduced Paudie Foley and Diarmuid O'Keeffe in the second-half, both men surging into the exchanges with clear relish for the icy battle. Similarly, both Lee Chin and Rory O'Connor came to the fore too and, within six minutes of the resumption, Wexford had cut their half-time deficit (0-8 to 1-10) down to just two points. Chin and O'Keeffe, particularly, were thriving now in floating roles, Wexford's ability to strike from range allowing them ease four points clear (0-18 to 1-11) before Dunbar ended it with that late goal. Kilkenny's paltry return into the wind disappointed Cody, who described their second-half as being "not as competitive as we'd like". Fitzgerald, though, was in little doubt that this wasn't a day to be drawing a tarpaulin around the black and amber. "Okay so we beat Kilkenny by seven points today," he sighed, nodding towards the door behind which Cody was making plans. "What way do you think he's going to be next-door? He's going to be chomping at the bit to go for it in June. He's going to be absolutely coming with everything and I'm really excited by that prospect. "And they will be. They'll be up for it way more. They'll have their Ballyhale players back. "Listen, the Leinster Championship with Kilkenny (in Innovate Wexford Park) is going to be special. And we know that." Scorers - Wexford: J O'Connor 0-6 (4f, 1 65), L Chin, R O'Connor 0-3 each, C Dunbar 1-0, P Morris 0-2f, P Foley, L Og McGovern, D O'Keeffe, K Foley, S Murphy 0-1 each. Kilkenny: A Murphy 0-6 (4f), L Blanchfield 1-1, E Murphy 0-3f, P Walsh, W Walsh 0-1 each. Wexford - M Fanning 7, D Reck 8, D Byrne 6, K Foley 8, S Murphy 7, M O'Hanlon 7, L Ryan 7, S Donohue 7, J O'Connor 7, H Kehoe 6, L Og McGovern 7, L Chin 8, P Morris 6, R O'Connor 8, C McDonald 7. Subs: P Foley 8 for Byrne (h-t), D O'Keeffe 9 for Kehoe (48), C Dunbar 7 for Morris (54), A Nolan 7 for McGovern (61), I Byrne for Donohue (70). Kilkenny - E Murphy 7, P Murphy 7, C Delaney 7, T Walsh 7, C Fogarty 7, P Deegan 7, J Cleere 7, P Walsh 7, A Murphy 8, J Donnelly 6, W Walsh 7, G Malone 6, B Ryan 6, L Blanchfield 7, M Keoghan 6. Subs: R Leahy 6 for Malone (27), J Maher 6 for Donnelly (45), R Hogan 6 for Ryan (58). Ref - A Kelly (Galway).